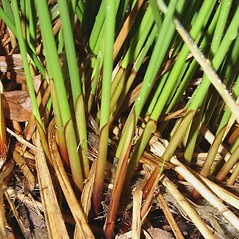 There are two subspecies of common soft rush in New England. 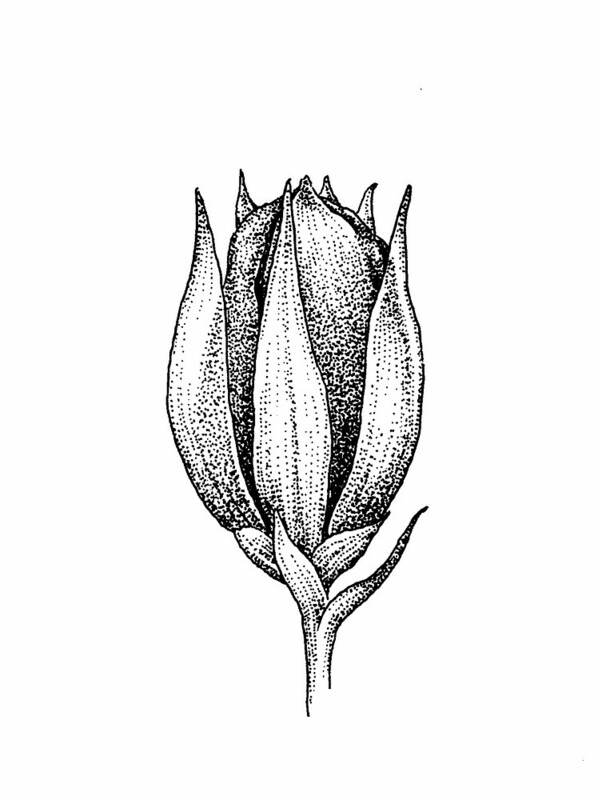 One of them is native and found in all New England states, while the other is introduced, and found only in Massachusetts, Maine and Rhode Island. 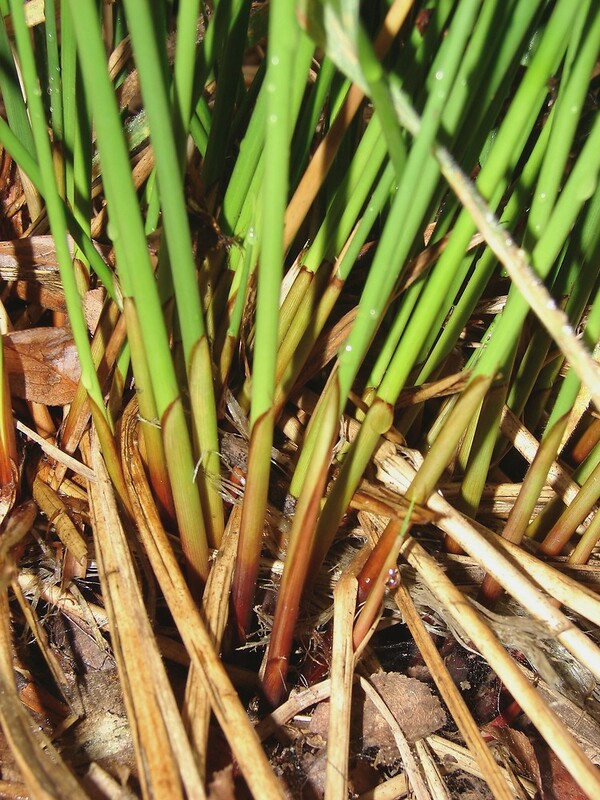 Various Native American peoples used common soft rush for tying, binding and weaving. 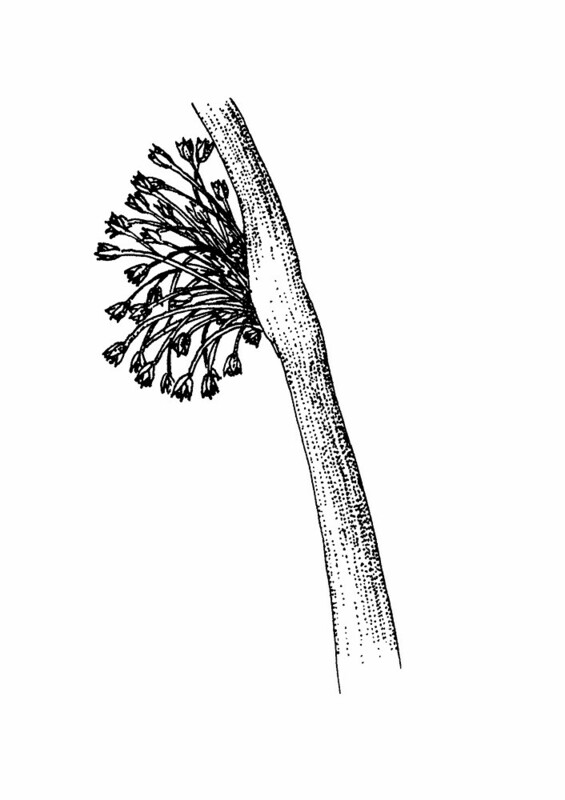 apical portion of stem relatively dull, evidently ridged below the inflorescence with 12–30 longitudinal grooves (vs. J. effusus, with the apical portion of stem relatively lustrous, smooth or nearly so below the inflorescence, with usually 30–60 longitudinal striations that are inconspicuous until drying). apical portion of stem relatively dull, evidently ridged below the inflorescence with 12–30 longitudinal grooves (vs. J. effusus, with the apical portion of stem relatively lustrous, smooth or nearly so below the inflorescence, with usually 30–60 longitudinal striations that are inconspicuous until drying).). 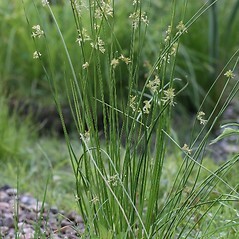 Juncus effusus var. solutus Fern. & Wieg. 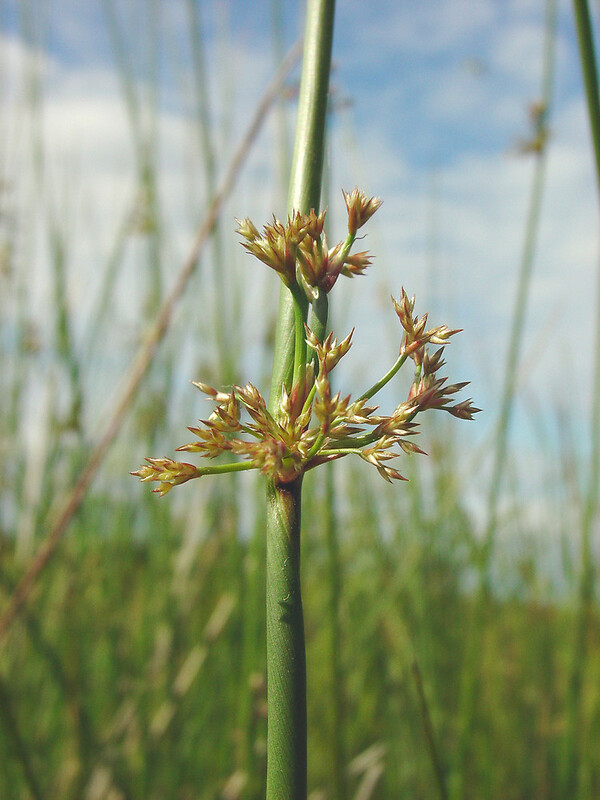 Juncus effusus L. ssp. effusus is known from MA, ME, RI and is introduced.J. 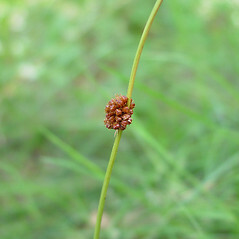 effusus ssp. 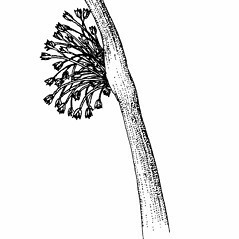 solutus (Fern. & Wieg.) Hämet-Ahti is known from CT, MA, ME, NH, RI, VT, and is native to New England. 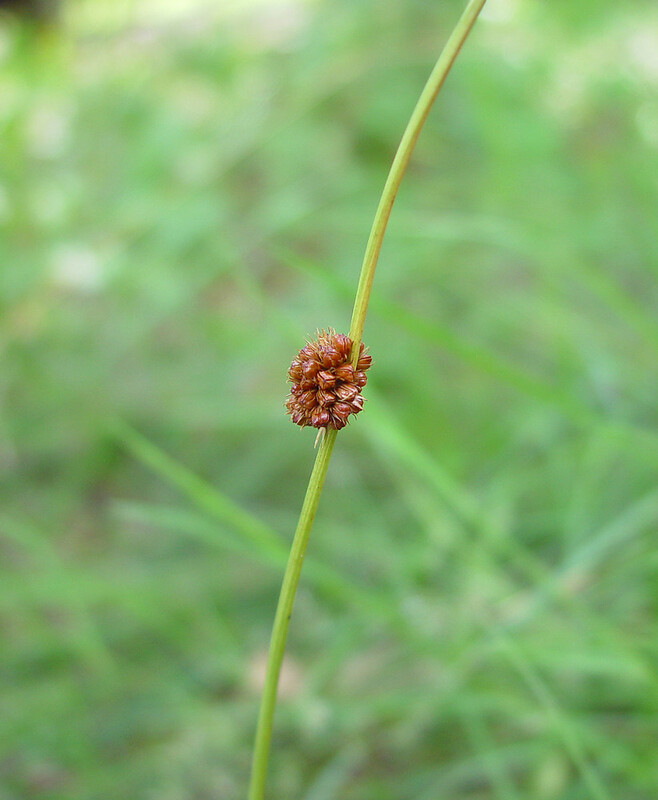 common soft rush. 19a. 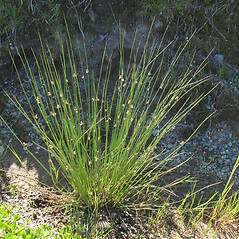 Juncus effusus L. var. solutus Fern. & Wieg. ; 19b. 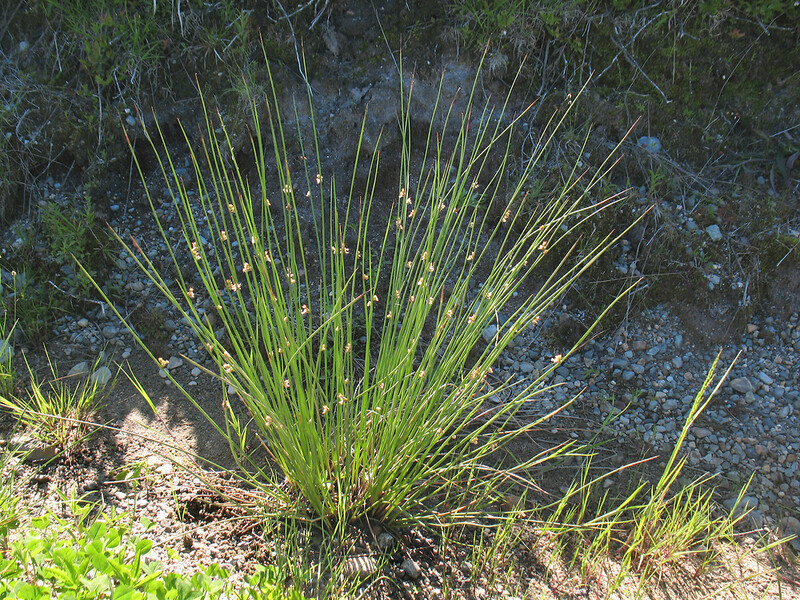 Juncus effusus L. var. compactus Lej. & Court. • CT, MA, ME, NH, RI, VT. Graminoid marshes, ditches, shorelines, meadows, low areas in fields. 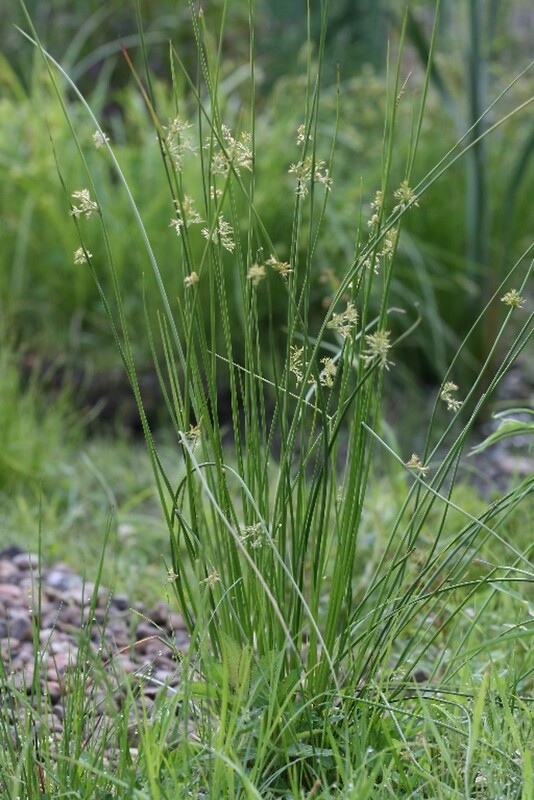 Juncus effusus has been treated variously by different authors, most commonly as being comprised of several varieties. However, some recent treatments (Brooks and Clemants 2000) abandon recognition of any infraspecific taxa. Unfortunately, this approach conceals a great deal of variation in (and understanding of) this complex. Treatment of this species complex follows the work of Hämet-Ahti (1980; considered appropriate by Snogerup et al. 2002). See also J. conglomeratus and J. pylaei, traditionally considered as infraspecific taxa of J. effusus (here treated as separate species). 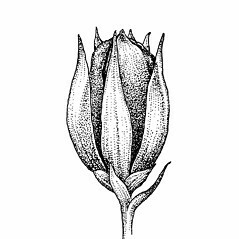 Subspecies solutus is native to New England and known from CT, MA, ME, NH, RI, VT. Subspecies effusus is introduced and is known from MA, ME, RI. 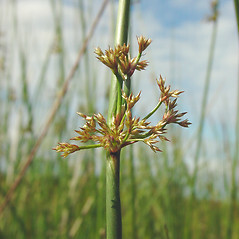 The latter subspecies varies in the congestion of its flowers (i.e., from tightly compact to open inflorescences).